When we first started this series I was all but certain by the time we got to the front porch portion mine would be boarded up with hurricane shutters. While there has not yet been a need for said shutters, it has rained for three solid days. Even as I write this there is a fine mix of rain and salt in the air. I knew this would be the hardest of all the tasks given the state of my front porch. 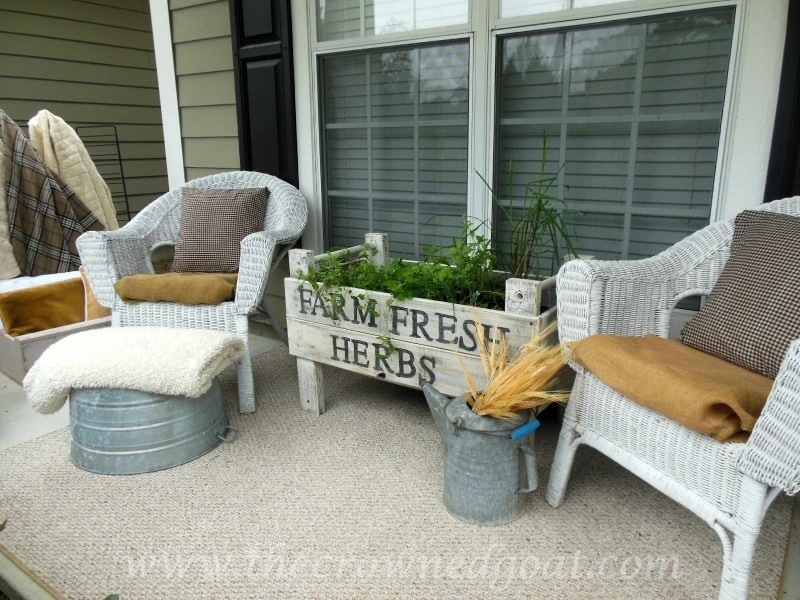 If you’ve had the chance to see Jenn’s porch then you already know she made it seem effortless. I really wanted the front porch to be an extension of the living spaces inside, both functional and comfortable. But because it runs the length of three major rooms in the house and is covered by two rows of hedges, it hasn’t always been easy to decorate. Dividing the porch into three zones has helped tremendously. 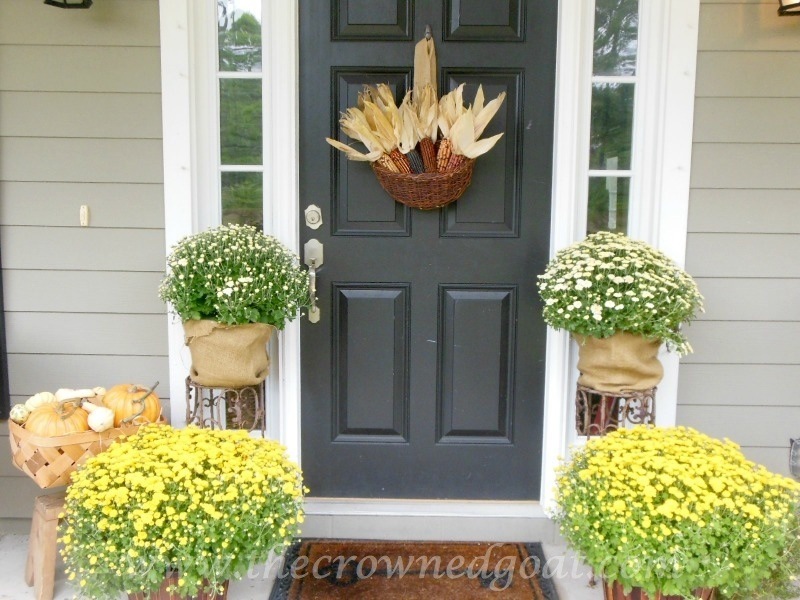 The door is now a focal point filled with happy memories and yellow mums. My mom always has yellow mums. It’s her signature and I love pulling up to my parent’s house each fall and finding an abundance of mums waiting to greet me. and enjoy hot apple cider with a snack. 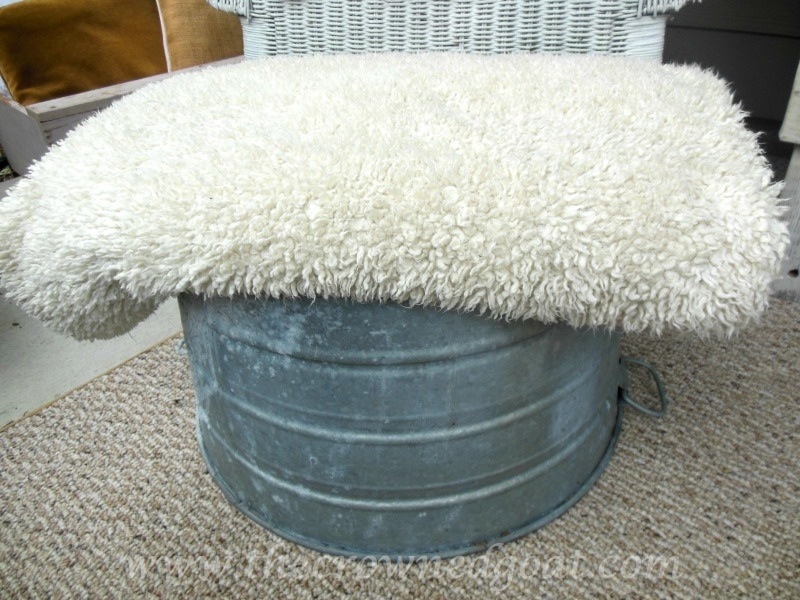 Even my little dogs have a place to snooze since this old washtub has been repurposed into a bed. The front porch now feels like a place to hang out with people we love and that makes me really excited to welcome fall activities. I just wanted to say thank you to the ladies of this blog series: Jen from The Striped House , Lisa from Concord Cottage, Angie from The Altered Past, Jenn and Vicki from 2 Bees in a Pod and Bobbi from Bluwaterlife for being so encouraging and fun to work with. I’ve loved every step of collaborating with you. There are so many things that I love about your front porch. The galvanized tub, the quilts and the little pillow with the belt. I have to admit I am a little sad to see this series end. You, Vicki and Jen have done a wonderful job. Can’t wait to see what you do for Christmas. Thank you so much Renee! I am sad to see this series end too. 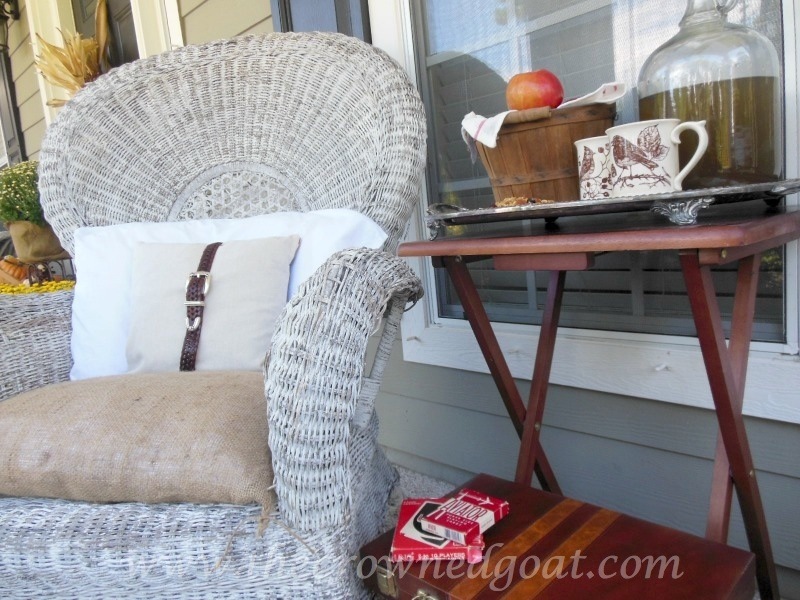 This porch was a lot of work to put together but I am really happy with the way everything turned out! You are so sweet! Thank you for all of your kind compliments, I really appreciate the encouragement. I love it Coco! 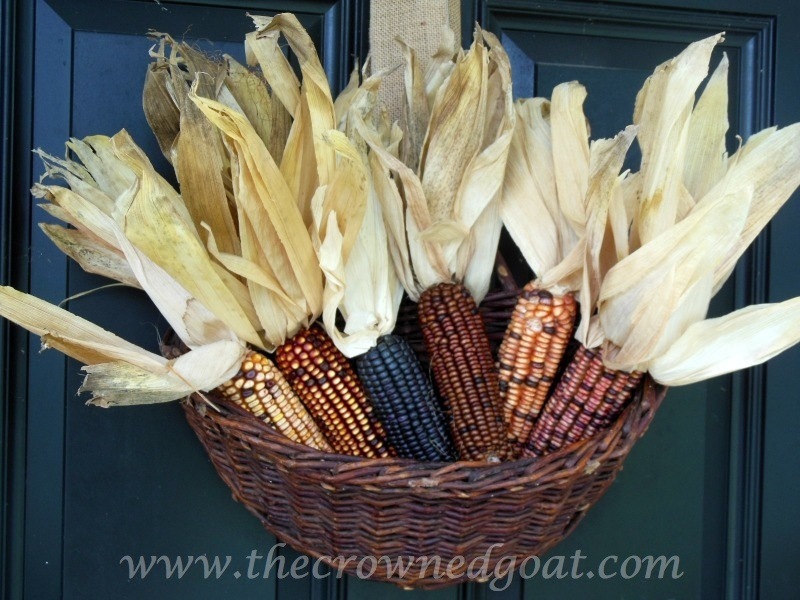 I love it all, but I really like what you did with the front door and the Indian Corn. I haven’t used it in so long and I remember it so vividly from my mom’s front door each fall as a child. 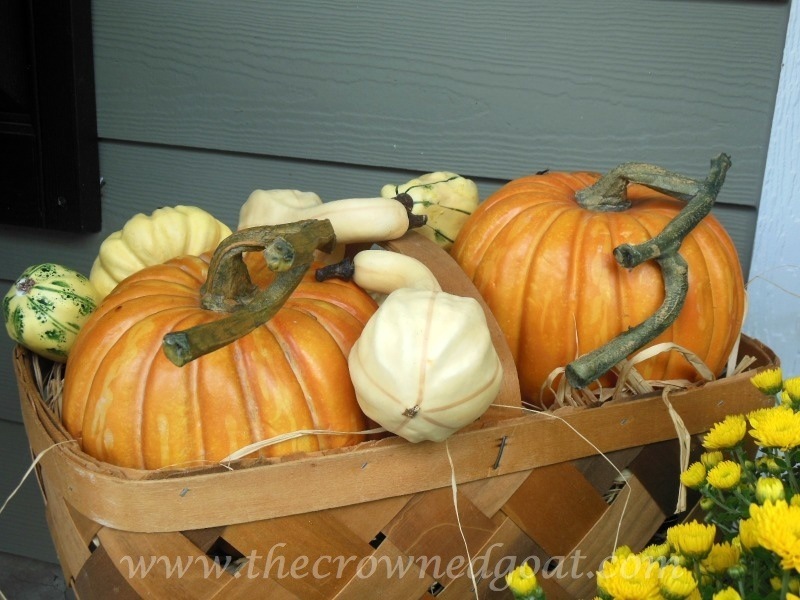 I am going to have to go to the stoe and buy some for my front porch! Beautiful! It took me forever to find the corn but I knew I didn’t want to have this porch finished without going to every store in my area until I found some! Such sweet memories of your Mom, I can’t wait to see your porch! Coco, this is beautiful!! You finished the fall tour with a bang. Looks like it could be straight from BHG magazine. 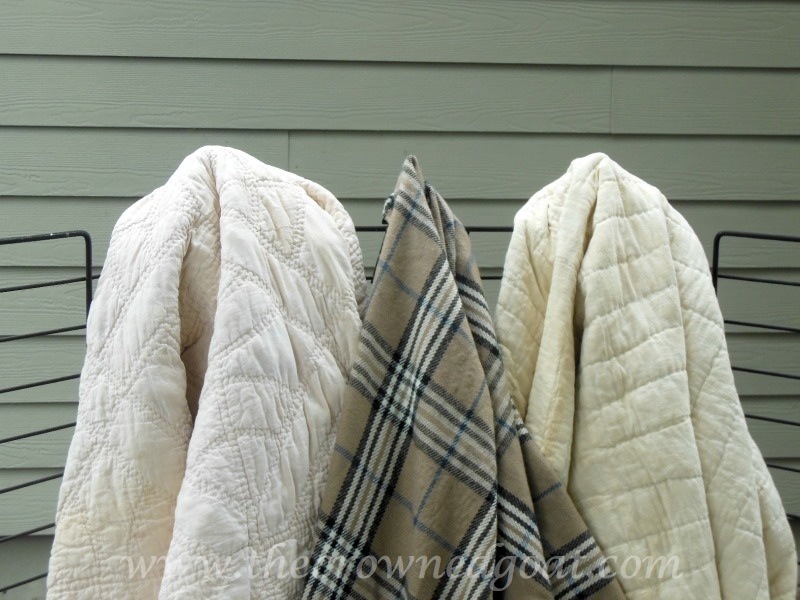 I love the pillows and quilts you have, makes it very inviting! Thank you Angie, I really appreciate it! The fabric for some of the pillows came from Walmart and the quilts are family heirlooms 🙂 I’m glad you like it! Thank you so much Bobbi! I really appreciate it. 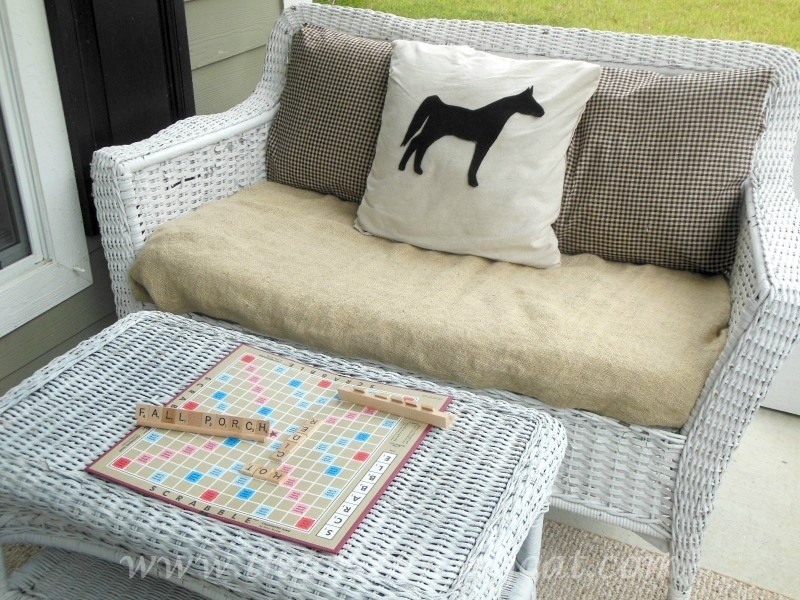 Completing this porch was so much fun to complete and now we get to use it all season! What a beautiful porch! Magazine-worthy. 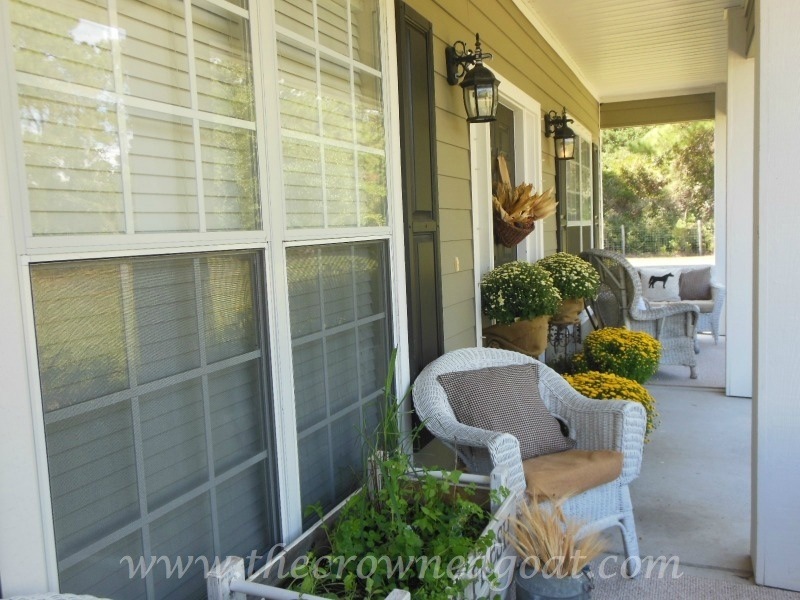 I love that you separated the porch into sections…so smart. I want to drink cider with you (great minds think alike). With such a big stretched out space, it can be hard to know where and how to start decorating. You made it all look so warm and inviting and easy to accomplish. Beautiful (and we couldn’t tell it was raining). If I start driving from Ohio now….when would I be there…..? I’m coming! You are so sweet Donna! Thank you for your kind words. It was a lot to decorate but I am so excited the space is comfortable and functional. You can home hang out and drink cider any time! I would have you over for cider in a heartbeat lady! Your so sweet Lisa, thank you! 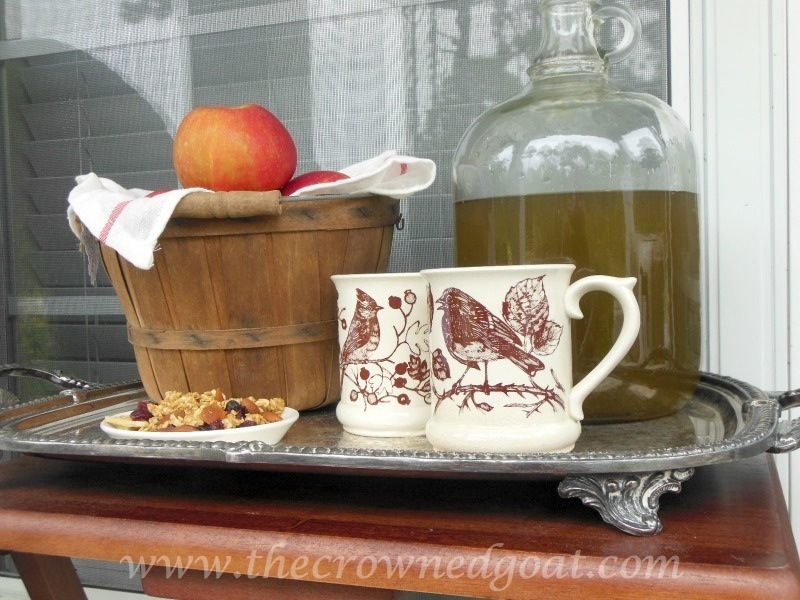 Come over any time for some hot apple cider!